Does your business belong to the manufacturing sector? Maybe you operate an automobile project on a project-to-project basis or are planning to expand your business operations. Whatever your scale of business is, it is necessary to purchase the manufacturing and automotive insurance. 1.Comprehensive Cover: It is a comprehensive cover which covers those claims which are filed by customers against your products or services. It may happen when the product manufactured by you doesn’t perform as expected due to manufacturing flaws or design defects. As any of these situations can lead to huge losses and costs, the manufacturing and automotive insurance cover This insurance policy plays a crucial role as it also covers bodily injury and property damage caused to another person after using your product. 2.Product Recall: Did you know, the premium carmaker, Honda Cars Ltd. recalled its 41,580 vehicles of the previous generation of City, Jazz, Civic and Accord in 2017? The company had to recall its vehicles due to faulty Takata airbags. Then there was a case of Maggi noodles which were banned across the country after it was found that they contained an excess amount of lead and MSG— a flavour enhancer. Though the Nestle India denied all the charges; it had to recall Maggi from the market after the Food Safety and Standards Authority of India passed the order. The product recalls can either be voluntary or insisted upon by government regulators. When a company discovers that a product that it has already sold is defective or harmful, it recalls its product. In the layman language, it is the situation when the product is withdrawn from the market. The company asks its customers to return all the defective products for either replacement or compensation. Consumer safety is something which can’t be ignored by the company. A product recall ensures that corrective actions are being taken by the company in safeguarding its consumers. Whether it is a voluntary recall or compulsory one, a product recall brings negative publicity and damages the brand’s image as well. In such a situation, a company can curtail its losses if it has a manufacturing and automotive insurance policy. In case of a product recall, the insurer will cover the costs associated with the recall, like advertising about the recall, storage of recalled products, cost of reworking or redesigning the recalled product. The insurer also covers the legal costs which are associated with the defence and investigation. There are some manufacturing and automotive insurance companies which also impart assistance and legal services to policyholders so that they can defend themselves in the court. 3.Third Party Coverage: What if the retailer who sells your products to final consumers claims to incur losses due to your defective products? Even a law suit can be filed against you, and if such things happen, you would have to bear financial losses. A third-party claim can be filed if third-party complaints of losing the business contract due to a defect in your products. 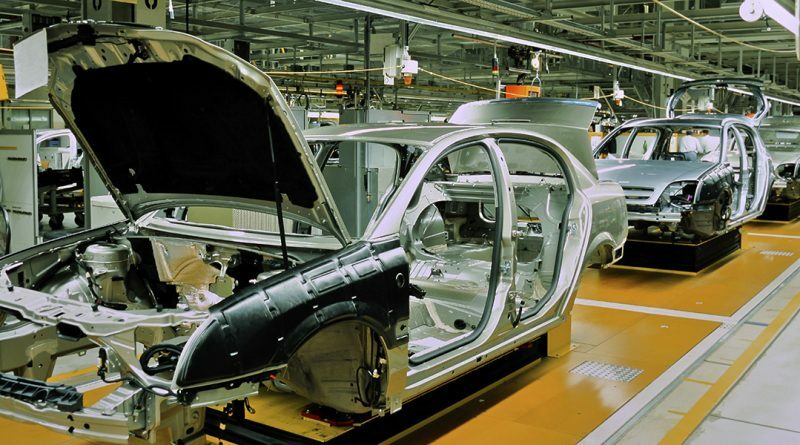 A company can trim its losses by opting for a manufacturing and automotive insurance policy. The insurer will offer you coverage for losses or injuries caused to a user, bystander or buyer due to a defect in your products. 4.Exclusions: While the manufacturing and automotive insurance offer comprehensive coverage, there are some instances when the insurer doesn’t offer coverage. Any claims arising due to past issues, financial losses not related to injury, are some of the situations when the insurer can refuse to offer cover. Are you shopping for the best Manufacturing and Automotive Insurance policy or have questions about your policy? At SecureNow, you can get multiple policy quotes which you can compare to buy the right policy. You will get an expert knowledge and care from our knowledgeable claim representatives, who will impart you with assistance as quickly as possible.